For round coasters only. 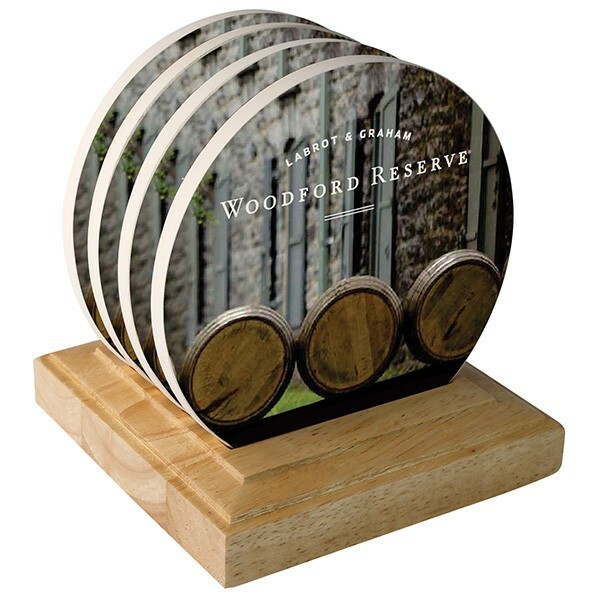 Our coaster program offers superior quality, 4-inch, absorbent stoneware coasters for maximum impact. Our unique printing process allows for border designs or full-color coverage to the edge.